My Sims 4 post-release survey has now closed – thanks for everyone who completed either this or the pre-release survey. I will possibly run another survey after Christmas and/or after the first EP release. I gave another presentation today, this time I was mainly looking at the marketing and PR – not sure how much sense the slides will make in isolation but here they are if you want them! Now to start analysing all the data and writing the findings… will keep you all posted. I just got back from London where I presented some of the very preliminary findings from the Sims 4 pre-release work several of you took part in. You can access the slides here. The post-release survey is still open until the end of October – I would love to hear from everyone, whether you have the game or not, on your responses to it since it’s come out – either through playing it or through seeing what others have done with it. 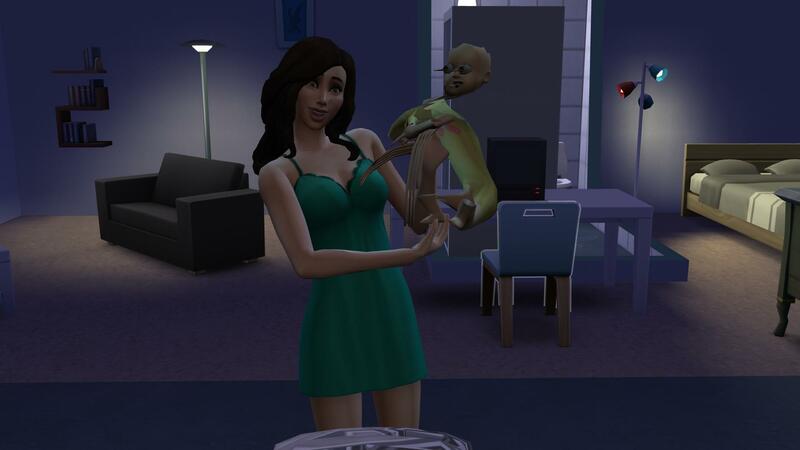 As for my own sims, I have been away so many weekends lately – and no real let up until November – so I’ve barely played them. I miss those Dayes and Knights though (although the Knights crash out on me every single time at the moment) and am looking forward to playing them. By the way, I don’t have TS4 myself yet – I will maybe get it eventually but there is so much TS3 I have left to explore that I’m in no rush. Sims 4 post-release survey now live! I have now closed the Sims 4 pre-release survey with around 800 completions and will be working my way through the data. 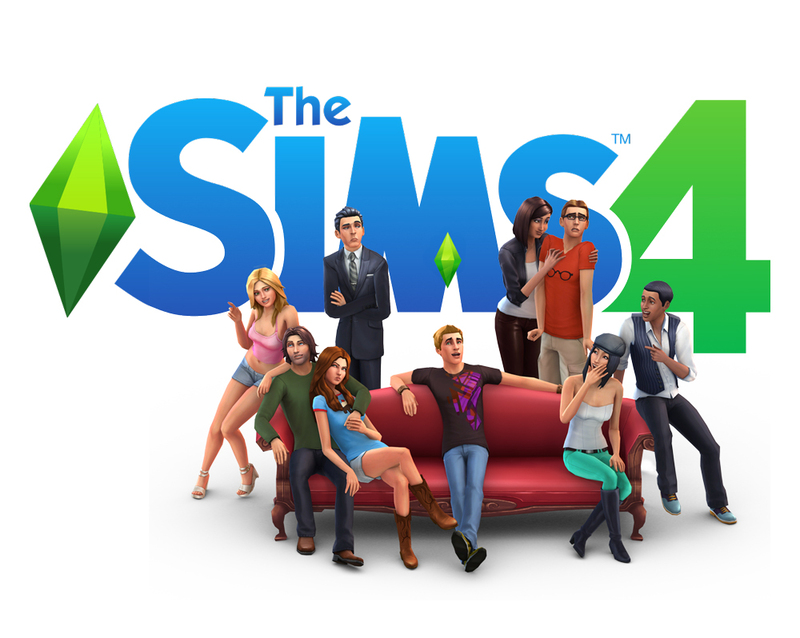 Now The Sims 4 is out (in most of the world anyway…) the post-release survey is live. 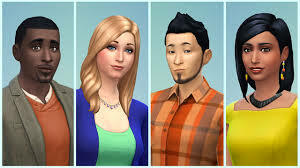 I’d love as many people as possible to complete it – whether or not you have TS4, and whether or not you completed the earlier survey. As before, it’s entirely anonymous (and this survey is a bit shorter too). Results from the pre-release survey are likely to be available late September and I’ll keep people posted about the results of this one. Sims 4 surveys – I need your input! As most of you know, I have an alter ego as a Principal Lecturer in Media at Sheffield Hallam University, and part of my job involves lots of different kinds of research relating to different aspects of the media. Some of you may remember, a couple of years ago, completing surveys and interviews for me for some research I was doing on Sims fans. Some of those findings are in a paper I presented at the Internet Research conference last year (slides here, short paper here), some aspects were mentioned in a paper I co-authored in Participations journal. I have also written an article using these findings which will be published in the journal Transformative Works and Cultures next year and have another 2-3 articles in progress. If you want any more details, you can email me: r.a.deller@shu.ac.uk or visit my website. Thanks! Well, that has been one heck of a start to my year. (I’m an academic, my year starts in September) Working 9-7 almost every day (with no breaks – quick, get the violins out), then into play rehearsals (play was last week; went well), a week in the US at a conference… Simmies, what simmies? Mind you, we’re meant to be working to rule at the moment (not going beyond our contract), which is going to prove one very interesting challenge for me, but might mean I get some free time back. Nonetheless, the Knights are making slow progress, one crash at a time, whilst the long-awaited Dayes update should be up this weekend, along with chapter 60 of Taken. In the meantime, chapter 59. Address is up for your pleasure. The aim is still to finish it at Christmas, so I’m going to need to average a couple of posts a week, really. Or, knowing me, none for ages, then four at once, like buses. Still – what I’ve been doing while I’ve not been playing Sims may be of interest to you as I’m starting to sort out the research side of things. I presented a paper at the Internet Research conference in Denver in October. You can read a shortened version of it here (click on the doc icon to read the document) and grab the slides here. Sadly you don’t get the best bit due to SlideShare’s compressions – all the bullet points were shaped like plumbobs in the original! I’ll be sharing a different side to my research at another conference later this month, and in 2014 when a few other things are out of the way, I’m going to figure out the best formats for writing everything up. Thanks to everyone who’s been helping with it, you’ve all given me some great material to work with! Oh, and my final Doctor Who 50th celebration banner sees Fitzy Populous as Eleven, Daisy Kyoti as Amy and Karate Daye as Rory. Only a fortnight to go til all the special programmes and geeking out at the convention – very exciting. Help me with some research! As you probably know, in my other life I’m a university lecturer. One of my research interests is how online communities use different web platforms and I’m conducting a project with Sims fans where I try and map how simmers are using the web. I’m trying to get as many simmers as I can from all over the online Sims world to complete it in order to get as full a picture as possible of the types of web activity Sims fans engage in. I’d love you to fill in the anonymous survey if you have a few free minutes. There’ll also be a follow-up study – the survey has some more details of what this involves. More info on the project is here. If you can recirculate the link via your own blogs/sites/etc I’d really appreciate it. Many thanks… if I say I’ll put up my new project tonight when WordPress stops cutting out on me as a reward, is that an incentive?